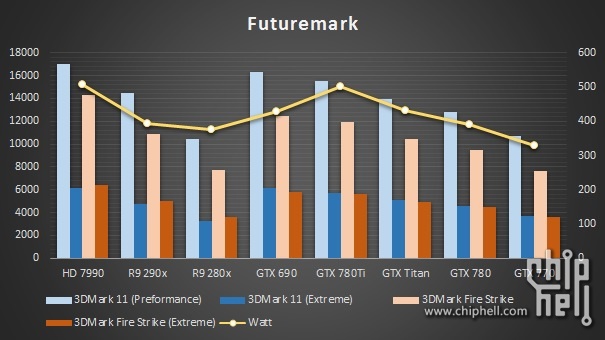 The first benchmark shows the GTX 780 Ti coming second in place to the Dual GPU card GTX 690. However the 780 Ti’s standing is above the R9 290X and the GTX Titan. 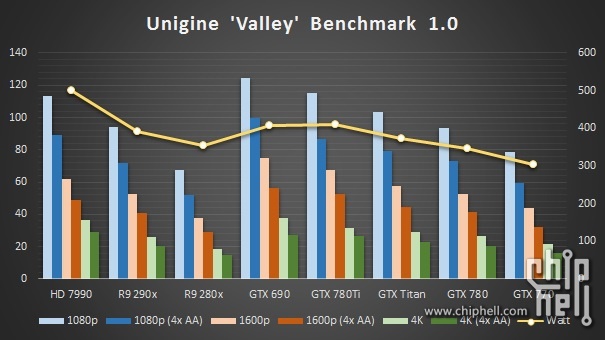 The Second benchmark is the Unigine Valley Benchmark tested at various resolutions including 4k. Dual GPU 690 is ahead of the 780 Ti. Interestingly even though the GTX 780 Ti has 1 GB Less memory than the R9 290X it still leads the 4k chart with quite a margin. This particular benchmark is of Alien Vs Predator 3 and the GTX 780 Ti is leading once again (ignoring 690). 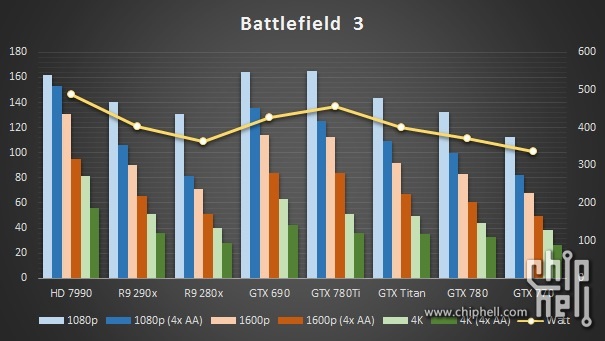 However this time the R9 290X leads in the 4K department. 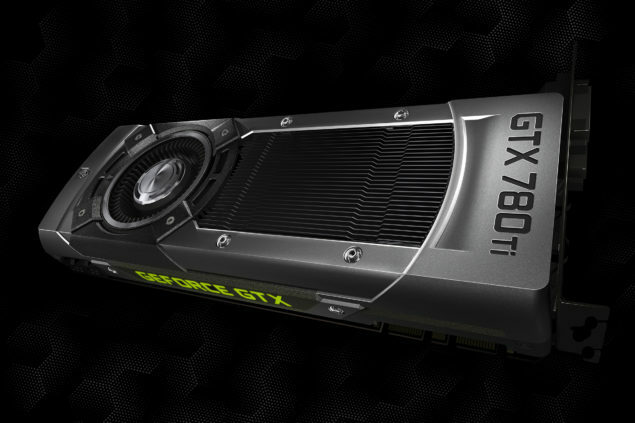 Once again we see the GTX 780 Ti dominating the charts in all resolutions except 4k where its limited 3GB memory is coming into effect, putting it equivalent to the R9 290X. In Bioshock infinite the GTX 690 and GTX 780 Ti as usual dominate the chart and in 4K resolution the R9 290X performs slightly less than the GTX 780 Ti. It also makes us wonder what Nvidia is thinking with a 3GB 780 Ti. Simply put you don’t need a 780 Ti for resolutions less than 4K and 3GB wont cut it at 4K, so where does that leave the first variant of the 780 Ti? We were also expecting a benchmark of Crysis 3, because if any game can bring these behemoths down to their knees its that one.